REGISTRATION FOR SUNRIDGE IS NOW COMPLETE! Our mission is to fully support initiatives that bring positive change to the lives of Southern Albertans. 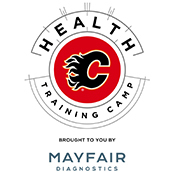 The Flames Foundation is committed to supporting education, health and wellness, and amateur and grassroots sports.